The United States Sports Academy is a member of the Accreditation Council for Business Schools and Programs (ACBSP) working to achieve accreditation for the business and management programs. ACBSP is an accrediting body that focuses on business education. The organization accredits educational programs around the world that focus on teaching excellence in business. The Academy has been exempted from the State of Alabama Licensure requirements pursuant to Code of Alabama Title 16-46-3-1 through 9 by the Alabama Department of Post-Secondary Education. The Academy has been approved by the Alabama Commission on Higher Education to participate in the State Authorization Reciprocity Agreement (SARA). Students seeking teaching certification should check with their local school district administration to inquire about teaching requirements prior to beginning the application process. The United States Sports Academy has been approved by the United States Department of Defense to offer its master’s degree courses to members of the Armed Forces, including members of the Army National Guard.  The Defense Activity for Non-Traditional Education Support has included the United States Sports Academy and its master’s degree program in its DANTES External Degree Catalog.